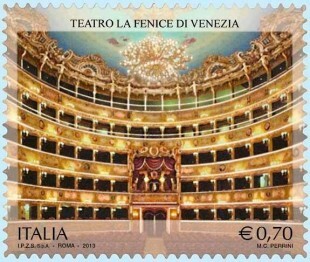 Tomorrow 9th of November, a special stamp will be issued to commemorate the 10th anniversary of the reopening of La Fenice Theatre in 2003, after it was completely destroyed by fire in 1996. In 1774, the so-called San Benedetto Theatre, which had been Venice’s leading opera house for more than forty years, burned to the ground. 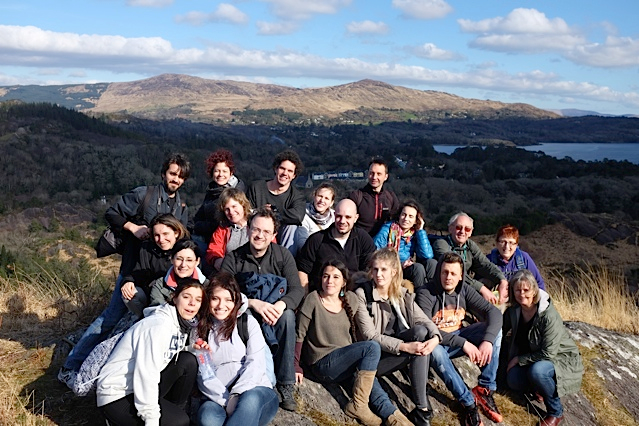 The construction began in June 1790, and by May 1792 the theatre was completed. It was named “La Fenice”. Since then, it has burned and been rebuilt twice more: in December 1836 and on 29 January 1996 when arson was immediately suspected. In March 2001, a court in Venice found two electricians guilty of setting the fire. Enrico Carella and his cousin, Massimiliano Marchetti, appeared to have set the building ablaze because their company was facing heavy fines over delays in repair work.